Feb. 15, 2013 - PRLog -- ReproTech, Ltd., the leading cryobank specializing in long-term storage of human reproductive tissue (sperm, eggs, embryos and ovarian and testicular tissue), relocated its Minnesota cryostorage facility to a new St. Paul location. The new facility includes a DuPont™ StormRoom™ in preparation for the upcoming tornado season. While tornadoes may occur at any time of year, tornado season is a traditional period of peak activity from March through early July. DuPont™’s StormRoom™ is the only tornado shelter reinforced with Kevlar®, making it ReproTech’s first choice to house clients’ precious tissues. The DuPont™ StormRoom™ is specially designed to endure wind speeds of up to 250 miles per hour, and meets FEMA requirements for Category 5 hurricane and F5 tornado shelters. 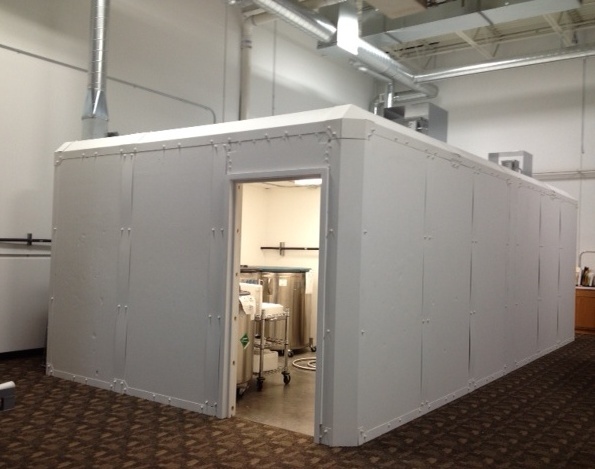 In addition to the Minnesota facility, ReproTech’s Florida facility also includes a storm shelter. Storm shelters are planned for ReproTech’s additional facilities in Reno, NV and Mesquite, TX upon expiration of current building leases. ReproTech is the only storage company in the country to go through the expense of installing storm shelters, providing tremendous peace of mind for its clients. "While the chance of our storage facility being damaged by a tornado is remote, ReproTech, Ltd. management felt that the investment in a tornado proof shelter within our cryostorage center is money well spent. Our first priority is the safe storage of our clients’ specimens and the addition of the storm shelter and continuous electronic temperature monitoring with our state of the art REES system provides the best protection available," says ReproTech President, Russ Bierbaum. ReproTech Ltd. was founded in 1990 for the purpose of providing long-term cryostorage services and operates regional cryostorage facilities in Florida, Minnesota, Nevada and Texas. More information on ReproTech, Ltd. is available at http://www.reprotech.com or 888-489-8944.